What exactly are girlfriend jeans? Well, if you ask me, I can tell you that they are the perfect match for the boyfriend jeans. They are both extremely comfortable, however, the girlfriend jean comes with a higher rise and it has a slimmer fit around the hips. 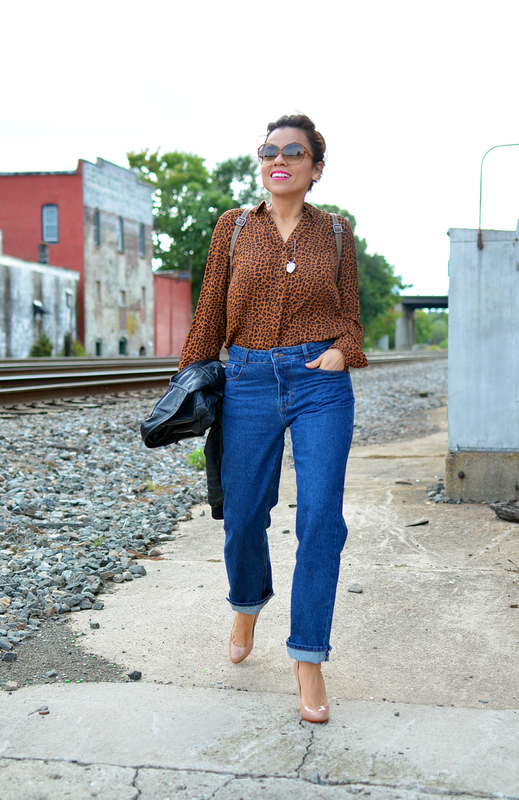 Some people compare this style with the mom's jeans or 90's jean, but with a more flattering fit. 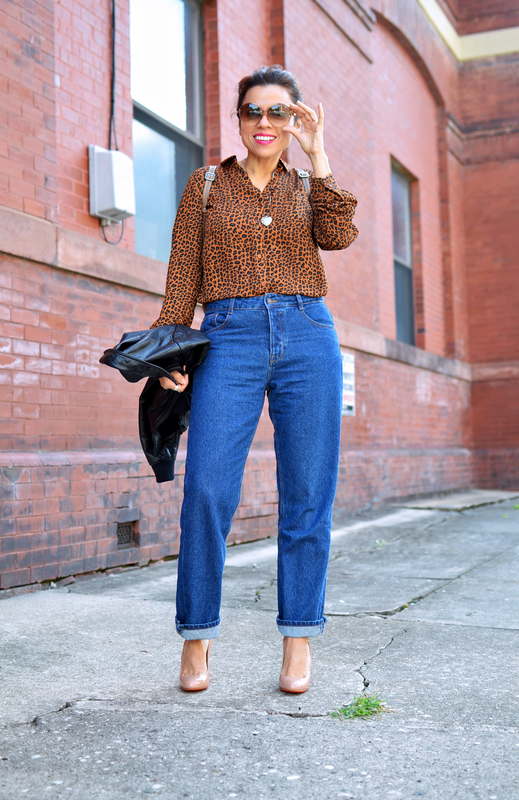 I personally like to wear this style of jeans with heels, but it also looks great with a pair of chic brogues. ¿Cuáles son exactamente los girlfriend jeans? Bueno, si me lo preguntas a mi, te puedo decir que son el complemento perfecto para los boyfriend jeans. Ambos son extremadamente cómodos, sin embargo, el girlfriend jean viene con un alza superior y esta mas ajustado alrededor de las caderas. Para mí, estos dos hacen una pareja perfecta. Algunas personas comparan este estilo con los famosos mom jeans, pero con un ajuste más halagador. Personalmente, me gusta llevar este estilo de vaqueros con zapatos de tacón, pero también se ven muy bien con un par de mocasines elegantes. I don't know if you can tell in these pictures, but the denim is more ridged than most boyfriend jeans, therefore, they are more structured. No sé si se puedes notarlo en estas fotos, pero la tela es más rígida que la mayoría de los boyfriend jeans, por lo tanto, son más estructurados. Jeans/Vaqueros: Zara. 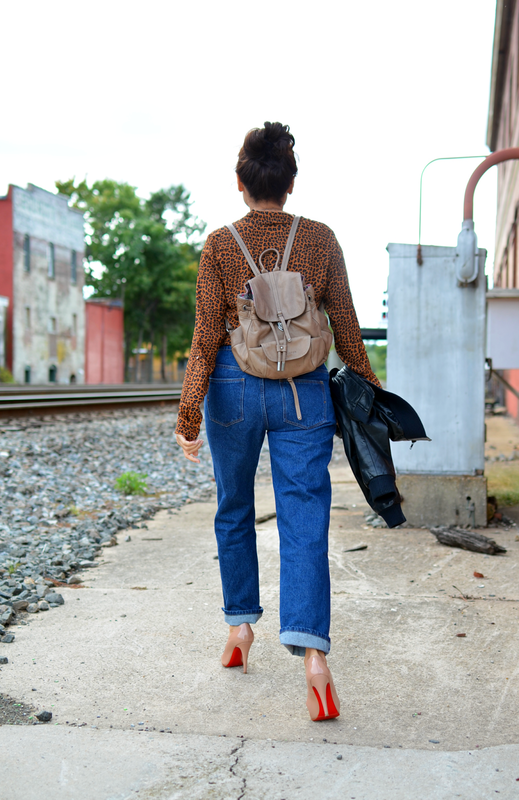 More girlfriend jeans: here , here and here . I like this name much better than the mom jean! I haven't been able to find the right pair, but I like the concept! Very flattering fit, and lovely way of styling it. I adore jeans dressed up! Son ideales y como los luces !!! !